Panasonic has today announced that its much-anticipated premium DP-UB9000 4K Ultra HD Blu-ray player will be available in Australia in November. The reference-class player has been named this year’s ‘2018 High-End UHD Blu-ray Player’ by the European Imaging Sound Association (EISA) in recognition of Panasonic’s commitment to performance and design. Powered by a Hollywood Cinema Experience (HCX) Processor, the UB9000 was expertly developed and refined by specialists in the heart of Hollywood, delivering stunningly precise colours and optimal brightness. Regardless of the type of content, the result is a thrilling home entertainment experience, just as the filmmaker intended. The player also boasts HDR adjustment technologies to deliver excellent detail across dark and bright scenes, maintaining fidelity regardless of the TV or viewing environment. The UB9000 offers extremely high sound quality thanks to its analogue audio circuits, including a dedicated audio power supply, a high-performance D/A converter, and XLR balanced output. Furthermore, the newly-developed drive base and two-layer chassis achieve a low centre of gravity and low vibration. An aluminium finish completes the premium design. The player also offers hands-free easy operation thanks to voice control from Amazon Alexa and Google Assistant[i]. Simply speak to an enabled device and conveniently fast forward or pause your favourite movie without using the remote control. The UB9000 reproduces Ultra HD Blu-ray, Video on Demand (Netflix, YouTube and Prime Video) and USB content. 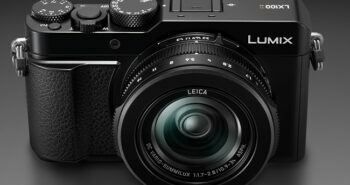 It will be priced at $1649rrp and will be available in mid-November from specialist consumer electronics retailers. The use of a positive/negative, isolated power conversion circuit for audio provides a high dynamic range, and reduces the voltage fluctuations and noise caused by digital circuits. In addition, high-quality audio grade electrolytic capacitors and a newly developed Oxygen Free Copper (OFC) switching transformer decreases the impedance of power. The digital and analogue power supplies for the D/A converter are isolated. The analogue channel is further separated into 2 channels and 7.1 channels, and for the 2-channel output, the reference voltage of the left and right channels is isolated, making a 10-line regulator circuit and reducing mutual effects to improve distortion. Moreover, high-quality audio grade electrolytic capacitors are used in the analogue channel to minimise noise. A high-performance D/A converter with input compatibility, high S/N, and high dynamic range is provided for each of the 2 channel and 7.1 channel circuits. The analogue circuits for 2 channel and 7.1 channel output are mounted onto special glass-epoxy circuit boards. Together with the use of quality components, such as low-noise operational amplifiers and audio grade electrolytic capacitors, a totally balanced signal transmission is achieved by using differential circuits all the way from the D/A converter output to the XLR output terminal. The 2 channel and 7.1 channel output terminals are also separated. Moreover, the 2 channel output is equipped with a balanced XLR output terminal in addition to the RCA terminal. A newly-developed drive base with a 3-dimensional, thick steel plate fixes the optical disc drive to the centre of the 2-layer chassis, to reduce vibration and noise during disc rotation. The use of a 2-layer structure with a heavy steel plate for the chassis achieves a low centre of gravity and low vibration. Thick aluminium is used on the front and side panels. This raises the rigidity of the chassis and reduces vibration. The UB9000 supports analogue 7.1 channel audio for direct connection to a home theatre system for life-like surround sound. In addition, the UB9000 terminal is gold-plated to resist oxidisation and maintain high signal conductivity. The UB9000 features dual HDMI outputs for isolating and transmitting TV (4K video) and amplifier audio. By separating audio and video signals, unwanted noise is suppressed, resulting in high-quality audio reproduction. 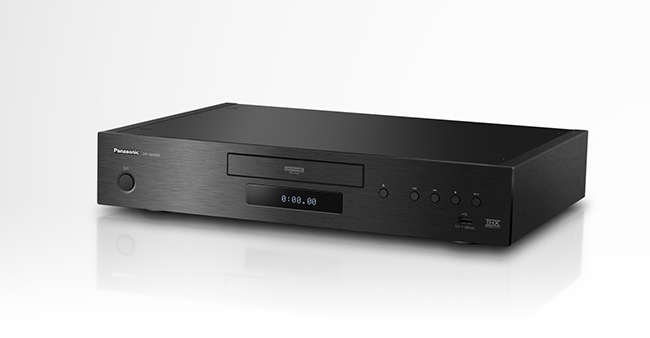 The new Blu-ray player is designed for high-resolution audio reproduction. In addition to conventional WAV/FLAC/MP3/AAC/WMA formats, DSD (11.2MHz/5.6 MHz/2.8 MHz) ALAC and AIFF music files can also be reproduced. Simply connect to a home audio system to enjoy music sources equivalent to studio master sound quality. The distinctive, warm and comforting sound characteristics of tube amplifiers are faithfully simulated on the UB9000. Six different kinds of sounds from vacuum tubes with 96-kHz/192-KHz up-sampling can be enjoyed in exceptionally high quality.